Hello! It's Cassie from Funky in Fourth. 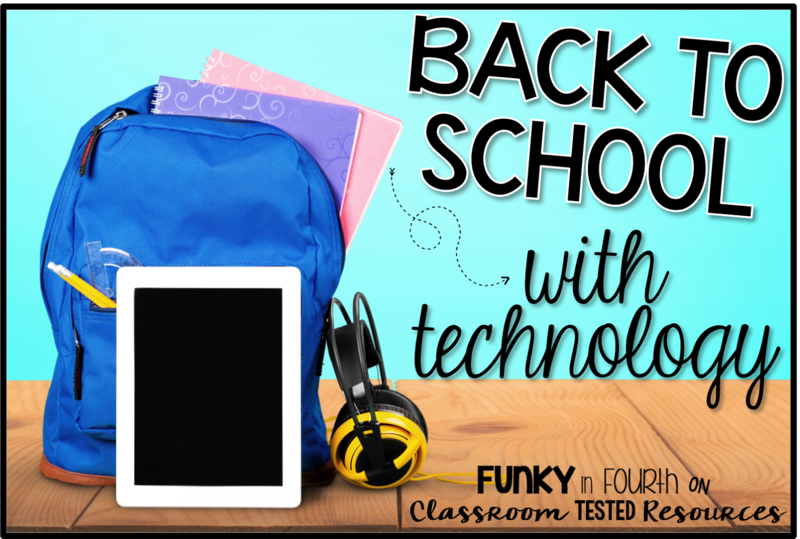 I am so excited to share some tips for keeping technology present in your classroom, even during the back-to-school craziness! Tip: Integrate technology into your morning work. If you have 1:1 student devices, using your devices for morning work would be extremely easy. When students come in the classroom, they do their morning "jobs" (you know sharpen a pencil, get their desk/space ready, put away backpack, etc. ), then they grab their device and get to work. If you do not have 1:1 devices, set up some kind of a rotation where students take turns using devices that you do have. Keep your rotation on a clipboard so that students can check in to see if it is their day to have a device during morning work. 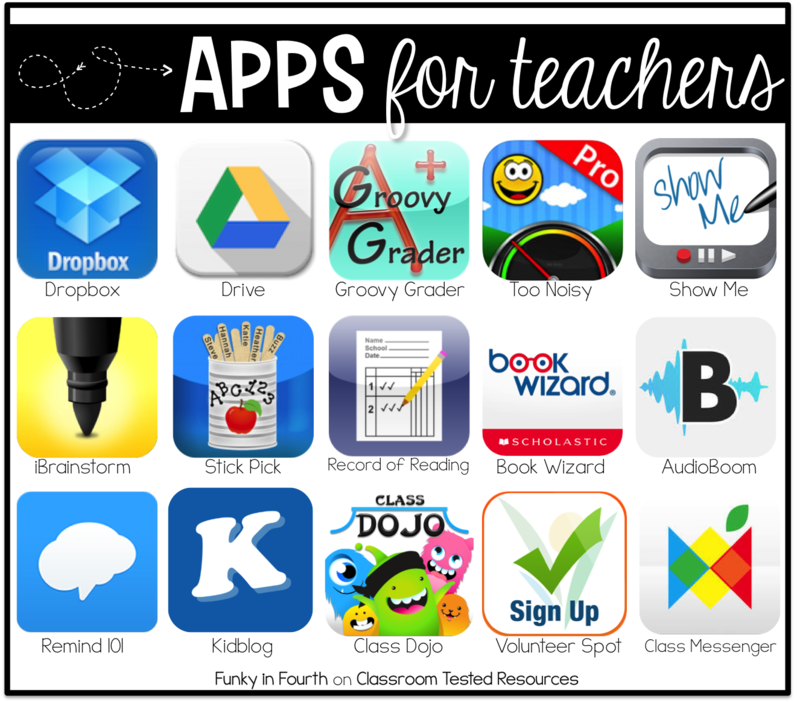 You might be wondering how I keep my students from choosing all of their "favorite" game-like apps. Simple! I use app cards on my whiteboard to show my students what apps they can be on. This way, they have choice but I still have control over what skills they are working on. 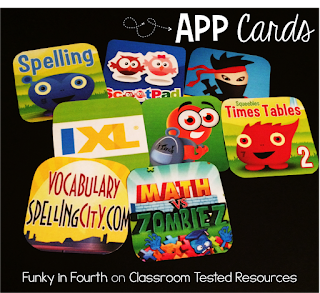 Here is a picture of some of my app cards. They have a magnet on the back of them so it is super easy to put them up on the whiteboard and change them out depending up the day. Tip: Use technology to make your life a little easier! There are so many wonderful apps out there that can ease the amount of work you are doing or at least make it a little bit more manageable. There are also apps that you can use for classroom management or communication with parents. Here are a few of my favorites. 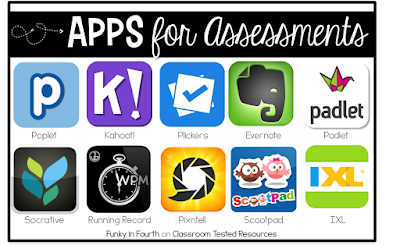 Tip: Like assessments? Start using technology to assess your students. There are multiple perks to using technology for assessment. Perk 1- the grading part is done for you, no more huge stacks of papers! Perk 2- your students are going to love it! Let's face it, we are living in a digital world. I am not saying go throw away all of the paper in your classroom and never pass out another assessment. I am saying that sometimes a little digital assessment will be a great change in your routine. Perk 3- It is easy to differentiate! We all have different learners in our classroom and technology makes it easy to assess (or teach) to all of our learners. 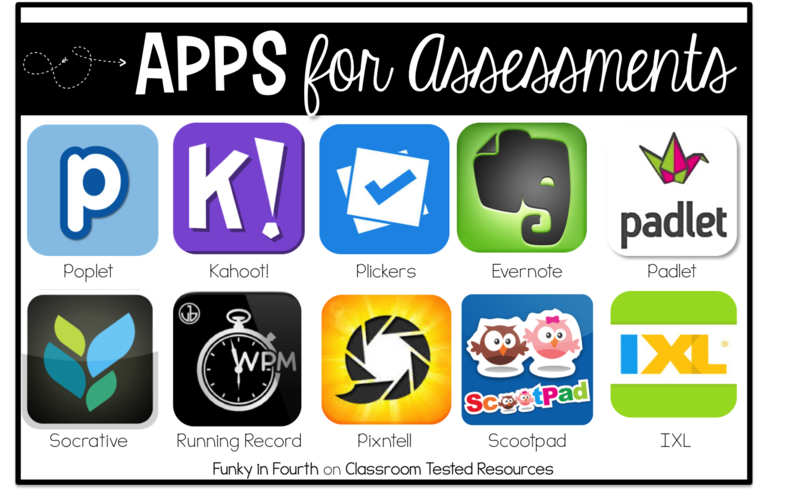 Here are a few of my favorite apps for assessments (both formative and summative). Tip: Take time to learn about new apps, websites and programs. I know you are probably thinking, "I don't have time". It is important that we continue our professional development even if we don't feel like we have time for it. I recommend just finding just thirty minutes each week to do some web searching or searching on Pinterest for quality blog posts about technology that you can use to enhance and improve your teaching. Then take the time to try it out with your students. Sometimes you will find something that you absolutely love and other times you will find something that just isn't what you thought it would be AND that is totally okay. Not every program, app or website is going to be perfect for your students. 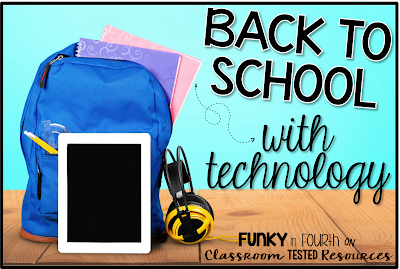 I hope that these tips will help you get rolling with technology, even during the crazy back-to-school rush!